The boutique wines and fine craft beers of the Northwest have also made space for further beverage exploration and lucky for all of us the craft cider movement is now fully underway with particular standouts in Oregon, Washington and Idaho. As with wine grapes the Northwest also has an enormous bounty of tree fruit, apples and pears in particular that make for some excellent artisanal ciders. FinnRiver is one such cidery that has produced some excellent ciders over on the Olympic Peninsula. FinnRiver is an organic and Salmon-Safe farm located in the Chimacum Valley over on the Peninsula. They're very plugged into the organic and local farmer's market scene. They make a variety of dessert wines, spirits and ciders both sparkling and still. 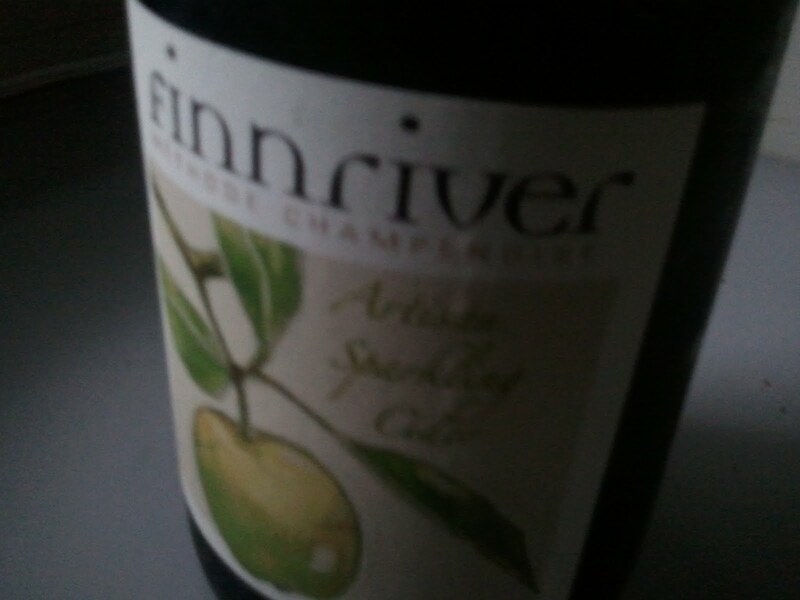 The Artisan Sparkling Cider from FinnRiver is a mouthful of fruity pop and yeasty goodness that reminds you of old world bubbly. (We believe artisan is a fancy French word for good.) Produced in the traditional methode champenoise this cider offers a creamy mouth-feel and clean crisp finish. It's a great combination of tart, zesty and yeasty. It's a refreshing change of pace should you somehow become tired of drinking wine (though we're not sure that's possible.) It can be had for $16 and when I stuck it back in the fridge with just a stopper it retained it's bubbles for over a week. You can find the FinnRiver products throughout Seattle, at farmer's markets, bars (in kegs) and Whole Foods stores throughout the Northwest.